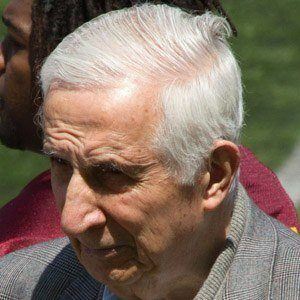 Known for his sports journalism work for Minnesota's Star Tribune, he also managed the Minneapolis Lakers professional basketball team (which later became the famous Los Angeles Lakers team) and provided sports commentary on a Minneapolis radio station. After dropping out of school to become a newspaper delivery boy for the Minneapolis Tribune, he wrote his first newspaper column (published in the Minneapolis Daily Times) in late 1945. Though not an award-winning writer, he was often lauded for his excellent reporting skills. His son, Chad Hartman, hosted a program on Minneapolis' WCCO-AM radio station. He was a personal friend of legendary Indiana Hoosiers basketball coach Bobby Knight.